Detecting fake art is a business all to itself. The world is full of copies and collectors want to know what is real. “About fifty percent of art is either fake or incorrectly attributed,” said Josef Uher, chief technology officer of Czech company InsightART. His company has paired with the ESA to use radiation detectors in the world of art. From paintings to sculptures, his team wants to separate the real from the fake. How can they identify fake art? Uher and his team use small, supersensitive radiation detectors that can count and study particles. In addition, these same detectors look for radiation on astronauts at the International Space Station. A special X-ray machine can scan any painting or sculpture. Furthermore, it can detect the pigments applied to those items. Did someone paint over the original artwork? Did someone add details to a particular painting later on? Were these pigments used in painting during a specific period? The radiation technology can map over an object to find these answers. It can separate the black, white, and gray and determine the base. InsightArt utilizes robotics to get a 3-D scan of individual objects. The robotic arms can scan objects from multiple angles. It reaches angles humans would have difficulty grasping, and it examines the area at the same time. Imagine having scans of paintings such as the Mona Lisa? People always speculate that there is another painting behind the woman. According to its website, InsightArt plans to make a portable X-Ray unit. Plans are underway to have a handheld device capable of scanning. In fact, the unit may fit comfortably in a briefcase. Art galleries would have the same technology available to them 24 hours a day. No longer would countless hours be consumed trying to discern a fake. A simple scan with the machine would reveal the true composition of paintings and other art pieces. InsightART currently operates a full-service laboratory in Prague. Plans to open a London facility by the end of 2019. Current scan measure 90 cm x 120 cm. However, larger objects can go through the scanning process. Each scan comes with a full report for the owner of the object. Again, the technology of space has benefited mankind. From vacuum sealed packaging to thermal blankets the benefits of space research never end. Now with this particle detector, the art world will finally get answers to long-held questions. Collectors will benefit from the knowledge that their collection is truly valuable. 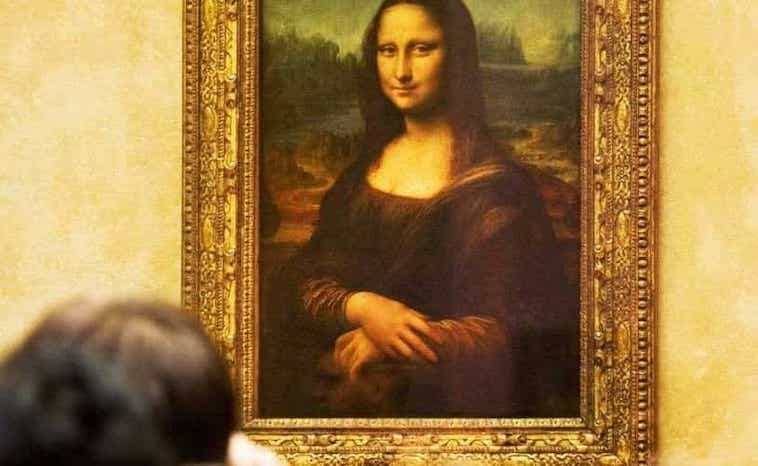 Most importantly, we may finally find out if there is another painting behind the face of the Mona Lisa.